Newegg: Save 5% on $500 plus site-wide, use promo code shown below. Valid until 13th August 2015, while stocks last! Maximum discount $50. So, what are you waiting for? Hurry! After long waiting, the US based online gadget store newegg.com finally open its Singapore site. Since the store is just set up, the variety of products and promotions are very limited, and the international shipping capacity hasn't been tested yet. 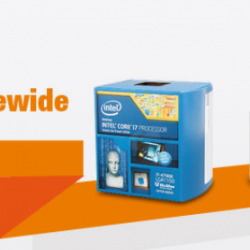 BargainQueen will monitor the progress of newegg Singapore closely, and bring latest update and promotions. According to CNET, US-based online retailer Newegg is going to expand to six more countries by the end of Jun. This is a great news to Singapore IT fans, instead of being chopped in SLS, people in Singapore can now enjoy the large variety of gadgets at reasonable price. 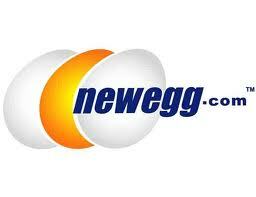 Newegg has announced its new expand to six more countries by end of June 2014. Consumers from India, Ireland, Netherlands, New Zealand, Poland and Singapore will soon be able to purchase PC components and parts from the site. You can now easily order your PC and other gadgets online instead of going to SLS (aka Sim Lim Square).